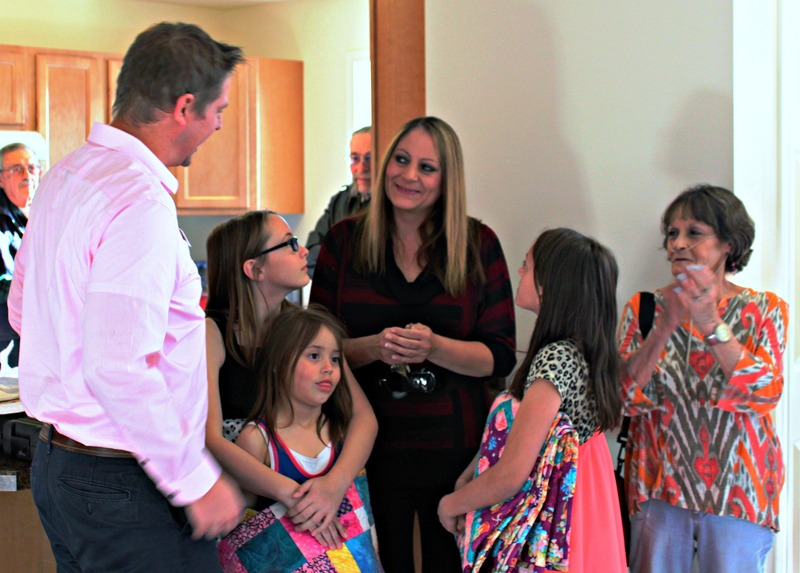 On April 9th, 2015, Becky McColley and her two daughters were handed the keys to their first home at her Habitat for Humanity dedication service. After working with HRDC and Habitat for Humanity for several years, Becky was finally able to call the house in the Heights “hers”. She is now the proud owner of Mid-Yellowstone Valley Habitat for Humanity’s 70th house. In 2012, Becky decided she was ready for home ownership. She began her search, but quickly found that the homes which were suitable for her family were not affordable on her budget. She had heard of Habitat for Humanity and decided to give them a call. Her application was accepted and she was able to partner with them. She began to build up “sweat equity”, where she would labor on other Habitat homes in order to build up enough hours to earn her own home. Habitat for Humanity referred her to HRDC’s Savings for Tomorrow Individual Development Account program, where she would learn about homeownership and financial literacy. The Assets for Independence (AFI) program is a subprogram of the Saving for Tomorrow program available to participants in Big Horn, Carbon, Custer, Musselshell, Rosebud, Stillwater, Sweet Grass, or Yellowstone County. AFI is a matched savings program to help families and individuals save enough money for such things as buying a home, paying for post-secondary education or training, and starting or expanding a small business. HRDC can be contacted at 406.247.4732.